You may have heard about the larger-than-life and slightly shocking brand activation recently put on by UK-based Sky Atlantic, to promote a new TV crime drama called Fortitude. 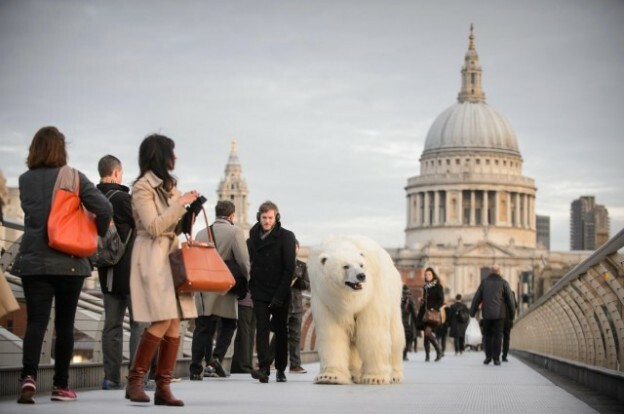 Residents of London were surprised to find a very real-looking polar bear on the loose in the middle of the city. It turns out they had no reason to worry, as it was operated by two talented puppeteers who worked on the theater production of War Horse. PR stunts like this may sustain shock and awe, but does it really work? How many of those witnesses even knew what the promotion was for, if they even realized it was a promotion in the first place? Yes, it’s memorable, we’ll give them that much, but passing on your brand’s message is an important aspect of your activation as well—and definitely one that shouldn’t be forgotten. Ink+cotton can offer you a brand activation that will advance your brand’s message and reach. While we may not dress up in polar bear costumes (I mean, we might if you really wanted us to), we can achieve maximum exposure by offering your guests something that they may have never seen before. 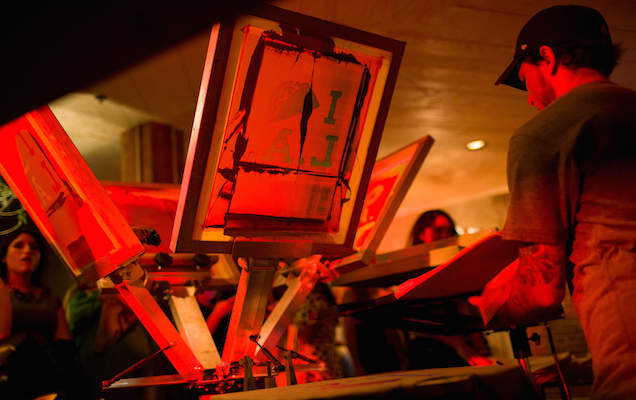 Live screen-printing is an immersive experience for people to participate in, and it’s one that engages their interest and allows them to reinterpret your brand, so they can put their own spin on it. Your guests will also be able to leave with something to remember you by, or, perhaps more importantly, to continually remind themselves of your brand and its message. Use shock-value in a different way, and embed your brand’s message in your guests memories by showing them what they can do themselves, and allowing them to take your brand home with them.